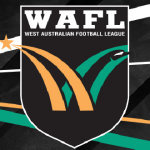 ROUND Four of the Western Australian Football League (WAFL) Colts competition saw one side continue its unbeaten start to the season. The ANZAC Day round also threw up surprise results, as last year’s grand finalists find themselves in uncharted territory, sitting outside the top five in a sign of the evenness of the 2018 fixture. Subiaco has continued its run as the only undefeated side after recording a thrilling 13.7 (85) to 12.9 (81) win over Claremont. For the Lions, Jake McKinnon was named best player with 18 disposals, six tackles and one goal, while Luke Foley was unlucky not be named best after accumulating 36 disposals, 13 tackles and two goals. For Claremont, Rylie Morgan dominated in the midfield with 36 disposals, six marks and four tackles. Marc Boyatzis was named best for the Tigers, while Tyron Smallwood was also impressive with 27 disposals, four tackles and two goals. Swan Districts showed their top five credentials with a commanding 14.10 (94) to 3.5 (23) win over West Perth at Bassendean Oval. For the Swans, Bain Mitchell led the way with 29 disposals, nine marks and four tackles. 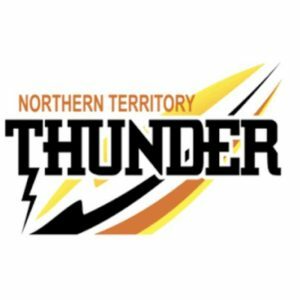 Kade Walldrot was named in the best with 19 disposals, five inside 50s and one goal, while livewire Atem Deng snagged a game high three goals to go along with his 16 disposals. For the Falcons, Nathan Murray was prolific with 28 disposals, leading to his best afield honours, while Alec Johnson amassed 23 disposals and Filimone Muavoa was named second best with 21 disposals. In the first Fremantle derby of the year, the Sharks stalled after half time as South Fremantle piled on six unanswered goals to record a 11.8 (74) to 4.12 (36) victory at East Fremantle Oval. For the Bulldogs, forward Thomas Weston was named as his side’s best with four goals in a dominant display. Luke Moore had a team high 24 disposals, while Matthew Ward (22 disposals) and James Ward (21 disposals) chipped in to give South Fremantle the ascendency. For the Sharks, Jeremy Sharp never stopped trying with a 22-disposal performance, earning team best honours. Corey Robinson and Milan Murdoch also tried hard with 23 and 21-disposal performances respectively, while Tom Joyce was also handy with 21 touches. In a tight tussle until three quarter time, Perth managed to produce a three goals to one quarter to pull away with a 10.15 (75) to 8.2 (50) victory at Lathlain Park. For the Demons, Austin Davis was named best with an 18-disposal, six-mark performance, while Regan Clarke (25 disposals) and Sydney Stack (23 disposals) both impressed with their performances. For the Royals, Louis Miller was the best of three players named in his side’s loss, with the young gun collecting 14 disposals. Patrick Reilly was named second best with 13 disposals, while Damon Greaves was the only Royal’s player to have more than 20 disposals, with the midfielder collecting the ball 23 times.